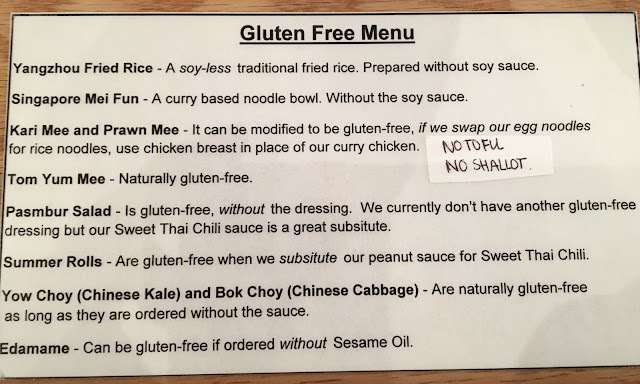 Despite the extensive regular menu, the gluten-free options are somewhat limited, but the silver lining is that the restaurant is up front about what is safe, and the servers are educated to address questions. Modifications are provided when needed, which made navigating the menu easy. I was actually thankful to have fewer options to choose from because everything on the menu sounded amazing. As a starter, I ordered the summer roles to split with my mom. 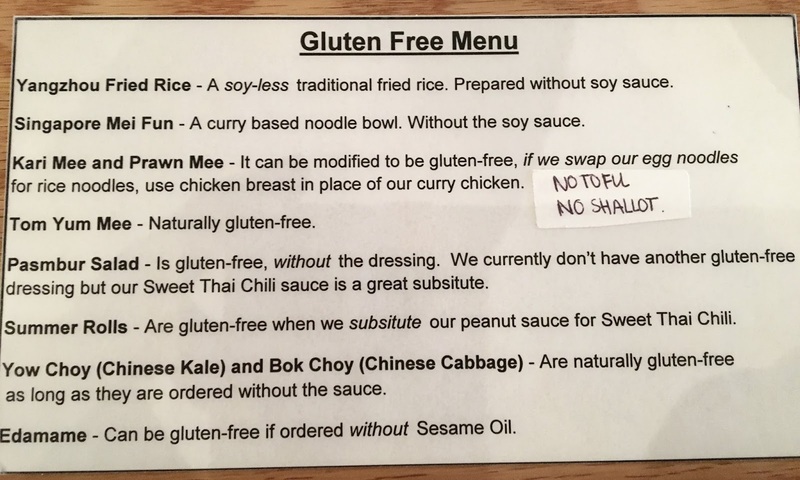 Because I am not a sauce person, I did not ask to change out the peanut sauce, since my mom is not gluten-free. The spring roles were delicious, with fresh fillings. 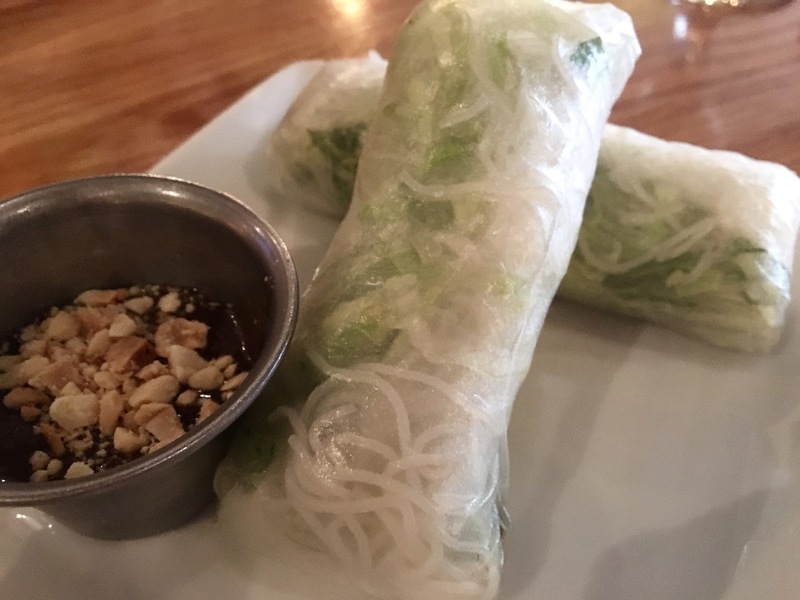 The more firm texture of the rice wrap ensured the fillings didn't end up all falling out, which is often the downfall of summer rolls in general. While not a flavor firework explosion, these are definitely worth ordering. For my entree, I ordered the prawn mee soup, which was noted as Penang's most popular soup. 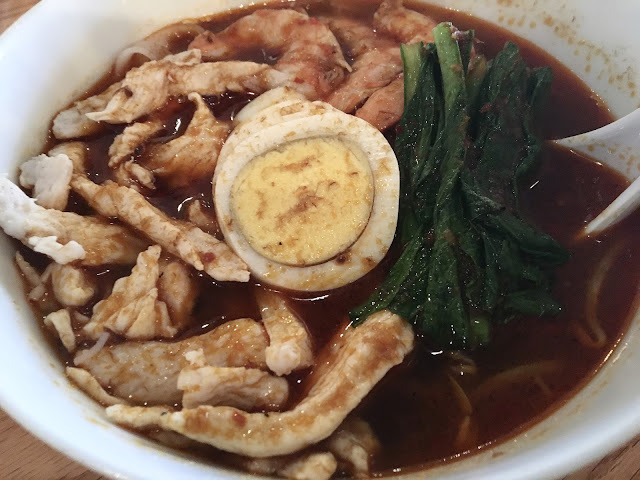 Chicken breast, hard boiled egg, shrimp, veggies and rice noodles (subbed for egg noodles) resided in a spicy, potent shrimp broth. While the soup's ingredients were well cooked, the overriding flavor came from the broth, which really threw me off at first but I grew to love. Laden with red pepper flakes, the broth has serious heat (even for me who seeks out spicy) but a wonderful smoothness that satisfied. It was seriously, and memorably delicious, and I dreamed of the prawn mee long after my last bite.The portioning is good, and I recommend using the ladle/spoon and chopsticks to tackle the dish. I had high expectations for Mamak but they were far surpassed by the food and service. A Hawkers devotee, I dare say that I like Mamak as much (if not more), and definitely look forward to future visits to try out the tom yum mee soup. It's hidden gems like this that definitely make me love Orlando's food scene- we are so much more than theme park fare!